With summer comes along being outdoors. I enjoy riding scooters and motorcycles year round, but especially during summer. 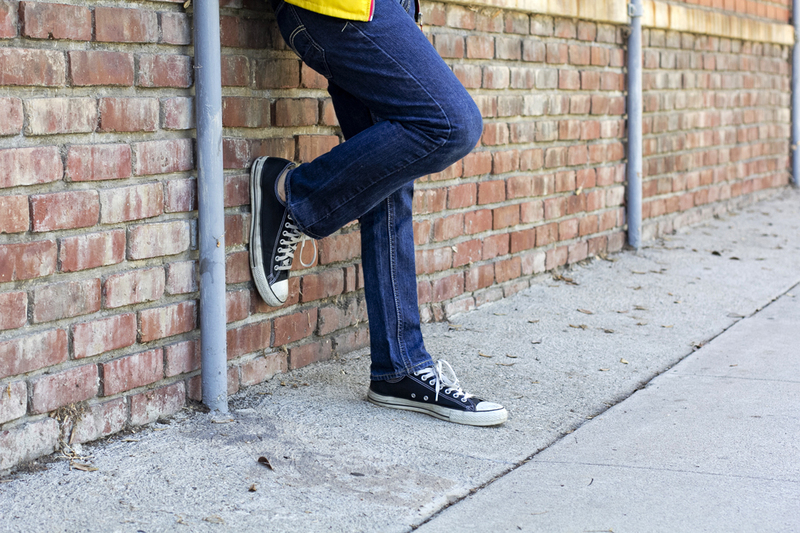 With so many outfit options for guys, there are a few things to keep in mind. Be safe, ride safe, and wear protective gear. 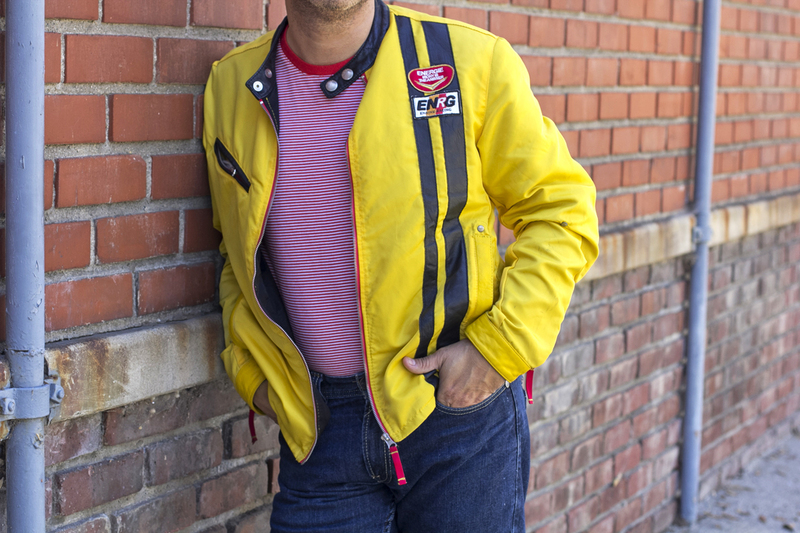 One of my favorite motorcycle jacket outfits is this yellow vintage piece from Energie. I usually wear a light t-shirt under the jacket, and will almost always, always, wear jeans, or long pants. When I lived in Miami, Florida. I would wear just a helmet, shirt, shorts and sneakers. Everything was fine for many years until I slipped on some wind-blown sand in Miami Beach and went down. I thought that I knew how to wear protective gear. Hey, I’ve been riding motorcycles for a long time and got my Florida motorcycle driver’s license when I was 15. On to my motorcycle outfit for today. This leather jacket is still light, but strong enough to cover me in case of a slip, and hopefully avoid road-rash. Broken bones are hard to avoid if you get hit by a car or are driving too fast and have a spill. So, I won’t get into that. I also like to wear sunglasses that will cover my eyes as much as possible and cover my face so they won’t get blown off when I ride. Ray Bans are some of my go to sunglasses for when I ride motorcycles. I’ll also wear denim jeans, and Levis are usually the ones I choose. I’ll go with a not so slim style, as I like to get some air since it’s usually hot during summer. I’ll then go on to shoes, sneakers in this case, that are sturdy enough to avoid rashes, and small rocks being lifted by cars from causing me too much damage. As you’ll notice, it’s nothing more than you would ordinarily do, but at the same time it’ll be classic and stylish. Just because your on a bike, scooter or motorcycle, does not mean that you can’t wear your style. Just be more conscious about what you wear, and you should be safe out there. Do you have any motorcycle stories to tell me? Let me know in the comments, below.